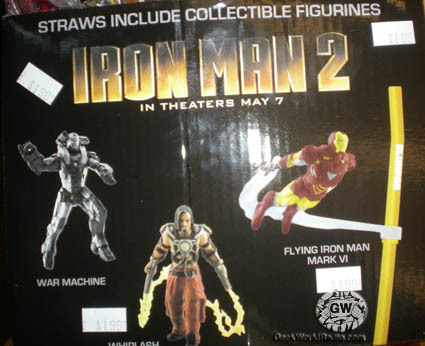 Iron Man 2 has invaded 7-11!!! We just picked up some Iron Man 2 Slurpee’s and I can’t stop drinking Scarlett Johansson! Annamay’s drinking War Machine, and we’re pulling straws to decide who drinks Mickey Rourke, Sin City or not we feel it’s a dubious venture! Annamay’s starting to consider having me commited, apparently it’s not “normal” to drink out of the same cup, day after day, adding new beverages, and never washing said cup. I say it’s not “normal” to wash away the Scarlett, and furthermore why is she all of the sudden watching Hotel Rwanda over and over again saying “He’s just so good…He’s just so good…”, what’s that all about? Thank you 7-11! Not since Isaac Mizrahi at the 2006 Golden Globe awards has Scarlett Johansson been this manhandled! 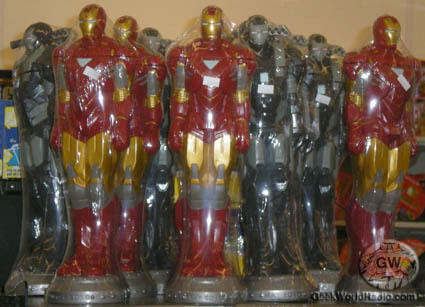 Thank You Iron Man 2! ← No Rest for the Geekin!! !